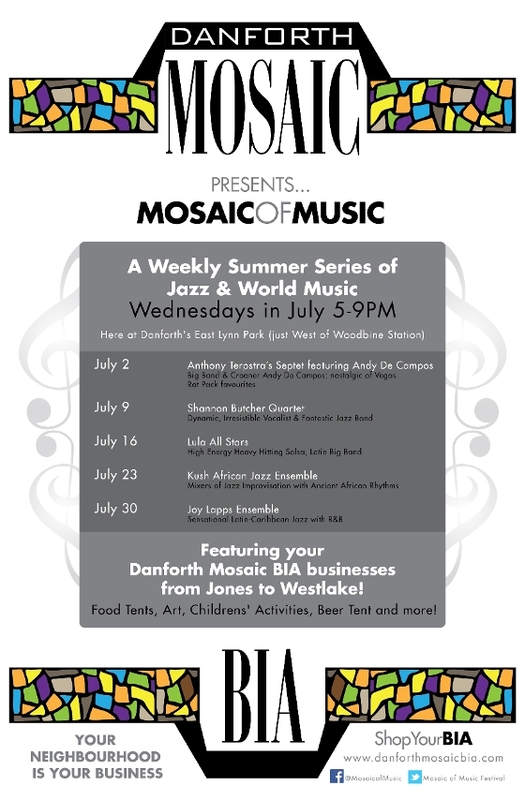 This is put on by the Danforth Mosaic BIA, showcasing a Weekly Summer Series of Jazz and World Music in East Lynn Park. Every Wednesday in July from 5-9pm. Hope to see you there!